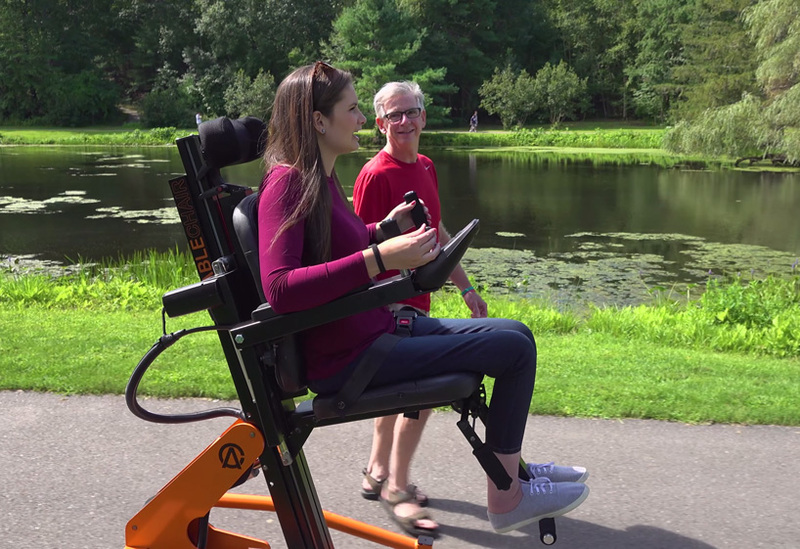 a team of designers and technologists have come up with a versatile wheelchair design that enables wheelchair users more independence. 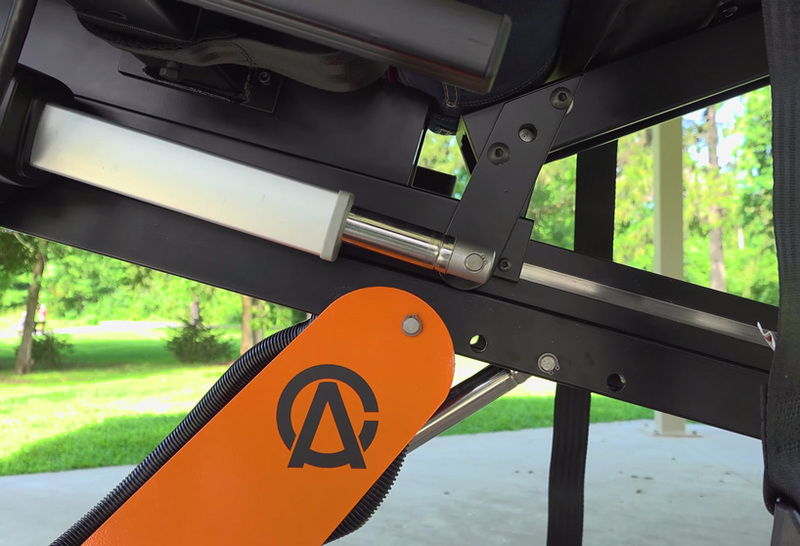 introduced by advanced fitness components, which designs spinoflex gait training products, the ablechair is a motorized wheelchair that functions like a forklift using a joystick controller which allows users to remain either seated or in a variety of other useful positions. 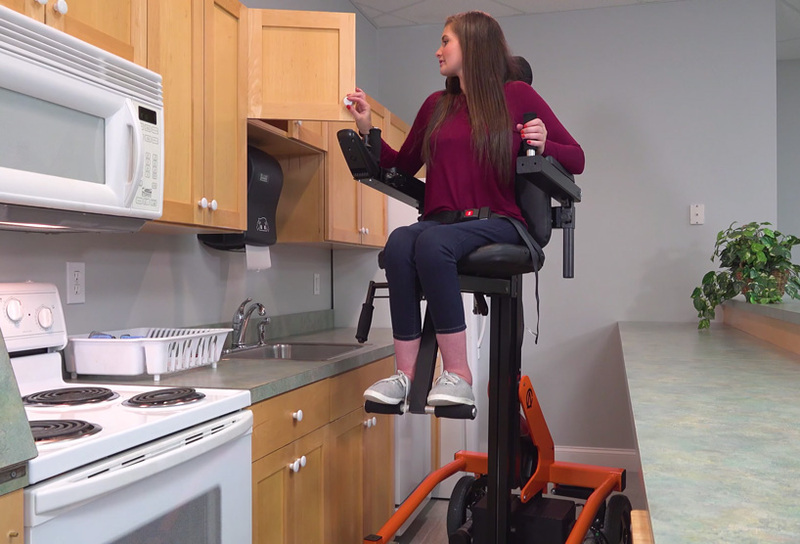 the chair uses a lift adjustment mechanism which can be controlled via a companion smartphone app. brushless motors, arduino controllers and sensors work together to achieve a seated position as low as ground level, or stretch out into a standing position. there is also a tilt function which allows the user to adjust the angle of the seat to differing degrees, ranging from a gentle recline to a full horizontal position. users can also save their favorite seating positions. 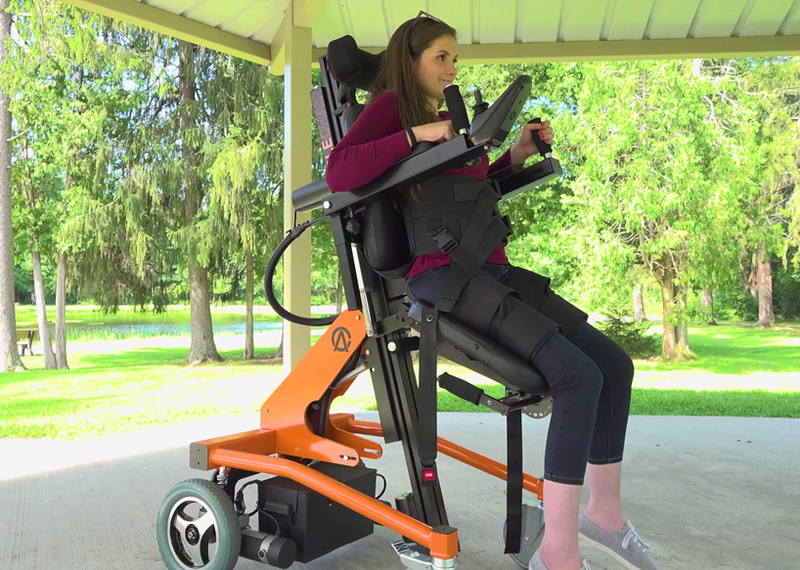 the ablechair gives wheelchair users more freedom to shift their position throughout the day, promising independence as well as protection from adverse health effects. users can converse with friends at eye level, reach a high0-level cupboard or lower themselves to pick something up. moreover, they can stretch their muscles, avoid ulcers, increase blood circulation and improve posture. the chair also works as a rehabilitation tool, giving patients more autonomy over their recovery. the ablechair has speeds of up 6.4 km/h (4 mph) and can reach 24 to 32 km (15 to 20 miles) on each charge of its twin 12 V batteries. it is the subject of a kickstarter campaign which hopes to get it into production with a goal of US$20,000. early pledges of $7,995 will have an ablechair headed your way when shipping kicks off in october if the campaign is successful. Anything to help those poor folks, but how about starting with the people who can least afford it. The only technical thing I question …the base does not increase in diameter to compensate for elevation. It looks like a long fall at full extension.